Experience the beautiful landscape of modern day Normandy. Departing from Paris, your journey through the picturesque French countryside toward Normandy and its history will relax and inspire you. Classic farmhouses, rolling hills, and idyllic scenery directly from a storybook set the stage for your day. Your first stop at around 10:15am at the Caen Memorial Museum. This fascinating and beautifully curated memorial, also known as the Peace Museum, holds a wealth of information about Normandy’s role in World War II and the D-Day invasions--you’ll enjoy a tour, historical film, and lunch. The rest of your day will be filled with visits to the landing beaches of Normandy. Your guide will share with you the history of the D-Day battle and beaches, bringing to life the places you’ll see. Pointe du Hoc, site of an important and heroic American victory and Omaha Beach are among your first stops. You’ll also visit the American cemetery Saint-Laurent. This peaceful and beautiful cemetery rests atop a cliff overlooking the sea and serves as the final resting place for nearly 10,000 soldiers. 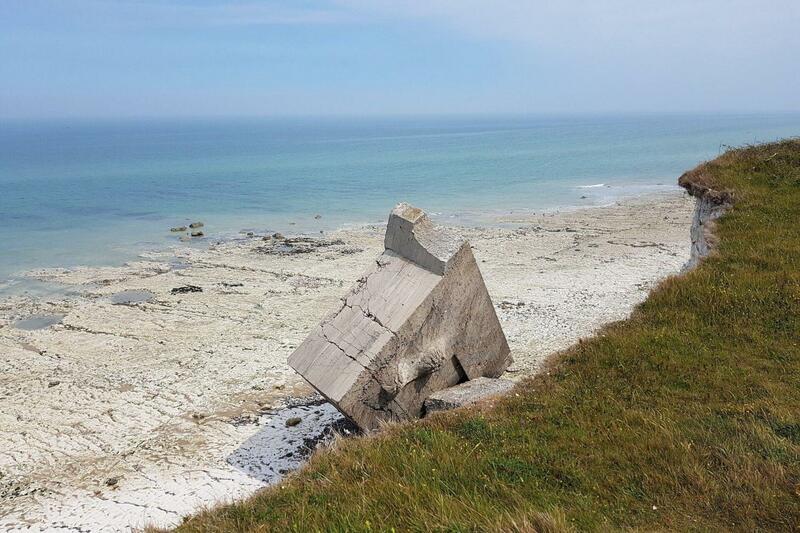 A stop for some pictures on the ruins of an artificial Allied landing harbor at Arromanches and also the Canadian Memorial at Juno beach could be an option if the cemetery is closed. Spend the ride back to Paris contemplating the history you’ve experienced during your day at Normandy and the D-Day Landing Beaches. Thorough overview of the landing beaches. It was a great tour. It would be wonderful to stay longer at some venues. But I liked that we were able to have several stops during the long day. The drivers were amazing on the narrow streets. We had two tour guides. Francois was hard to understand. Advertises free WiFi. I connected but it didn’t work. The trip was very well organized, but could have spent a little more time at the beaches. Our time here was a very powerful experience. We had an excellent guide who gave excellent information about the events at the landing beaches.